In the home, having your own cryotherapy chamber is a dear do. For sports clubs, a sound investment as we know ourselves. Image by Jacob Lund (via Shutterstock). We are probably light years away from having cryotherapy equipment in every home. At present, the cost of a full body chamber is only affordable for very wealthy households. Footballers like Cristiano Ronaldo and motivational guru Anthony Robbins are among the exceptions. A full-on cryotherapy chamber can cost as much as a new house. The cheapest is similarly priced to a luxury car (£20,000). The most expensive chambers (up to £200,000), are about the same price as a semi-detached house in a less salubrious part of Northern England. Where you gain on price with the cheapest systems, you lose on utility bills. The more expensive chambers are more energy efficient. For Mr and Mrs Average, nipping to a local spa with cryotherapy equipment is a cheaper option. Well, that’s supposing you think a ton is cheap for two to three minutes. At £100 for a three minute session, it is a dear do for regular users. Cryotherapy equipment pays for itself if used by sports clubs – on and off the pitch as we know ourselves. 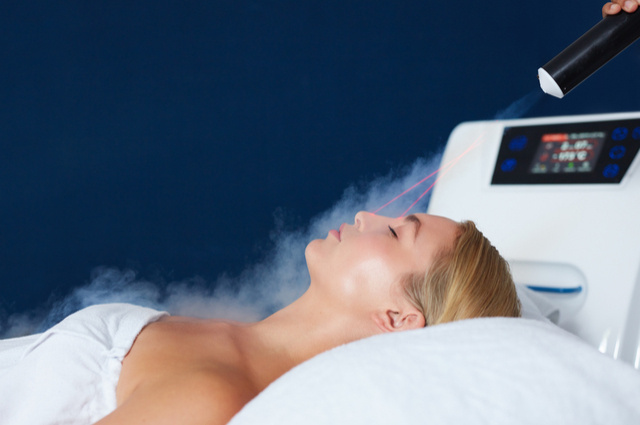 Instead of whole body chambers, handheld cryotherapy equipment is a cheaper option. Especially if you need to use it on certain parts of your body. Depending on features, prices start from £100 but the average price is within the high hundreds or low thousands. We at CryoAction have no set prices for our cryotherapy equipment. All prices are given on application, which includes installation. We offer single and double cryo chambers, and the latter are popular with Barclays Premier League sides. Title winners as well as newly promoted teams. If you have any queries, call us on 0800 014 8058. We’ll be happy to help you.